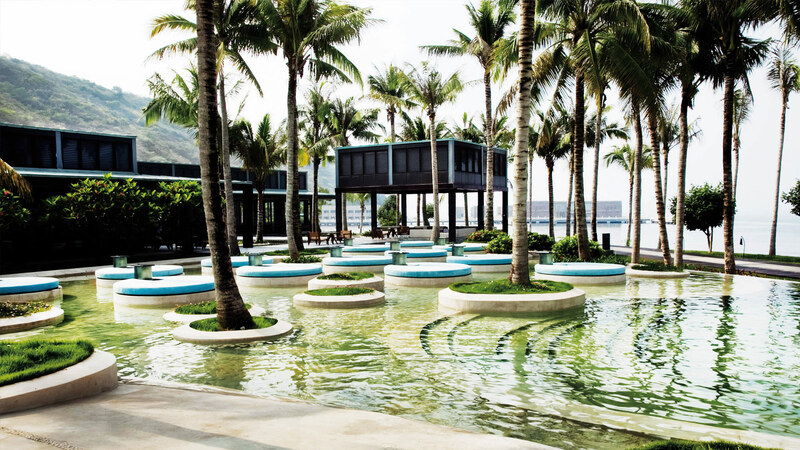 This eco-friendly oasis lies along a pristine beachfront, nestled between a scenic mountain vista and panoramic ocean views. 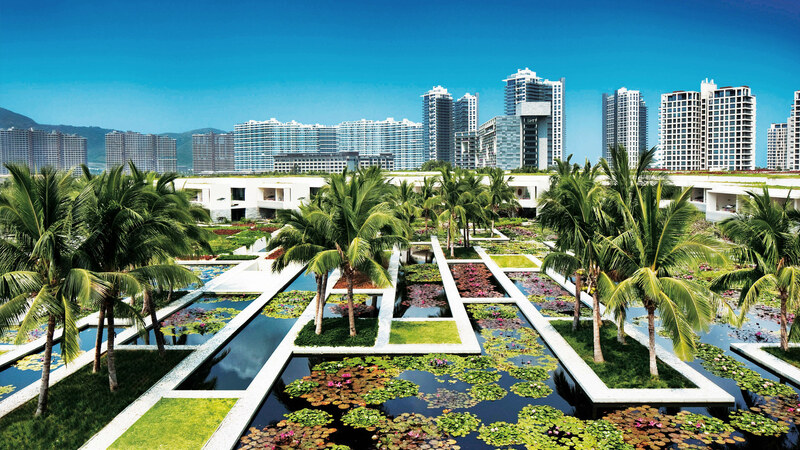 The landscape is designed to maximise the resort’s sprawling 130,000 square metres of land and embrace its proximity to nature. 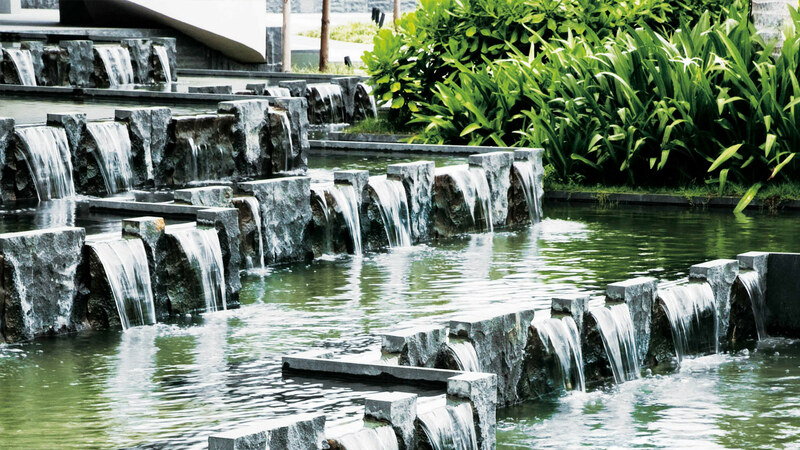 Extensive water elements throughout the resort, including cascading water features and aquatic ponds with floating gardens, serve to demarcate different areas of activity as well as give a sense of orientation to the spatial structure. 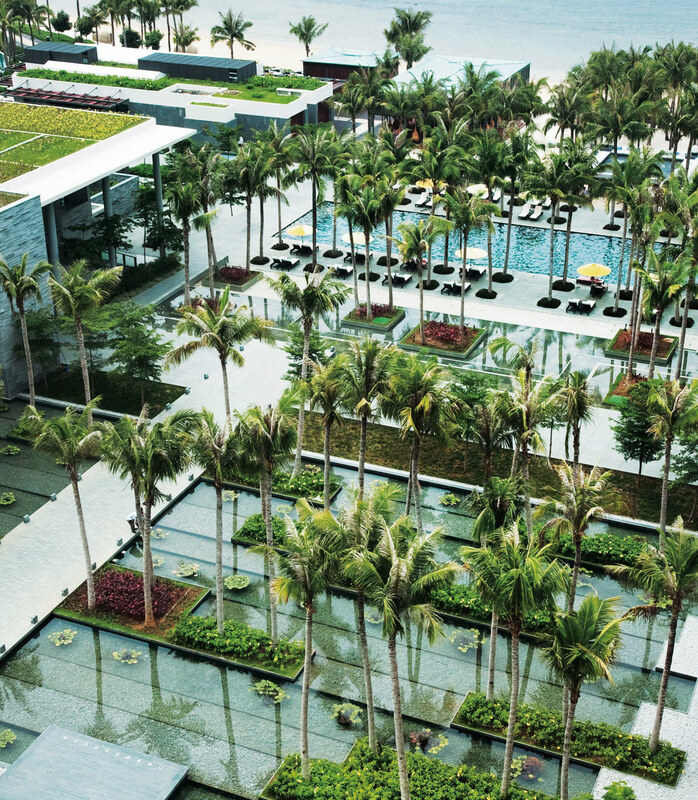 Enhancing the resort feel, trees and palms are dotted around the landscape, either planted as bosques in a formal setting, or informally in groves. 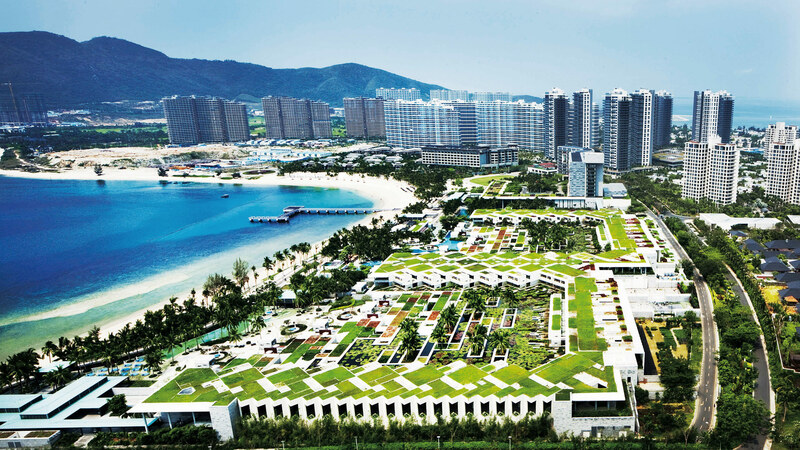 The overall effect is of a contemporary yet natural environment that balances urban energy with calm serenity.